In March 2019, Mr. Mavrick won a non-compete contract temporary injunction trial in state court in Fort Lauderdale. Mr. Mavrick successfully defended an entrepreneur and his corporation who were sued by a former employer. The plaintiff corporation alleged unlawful solicition of its customers and misappropiation and unlawful use of its "confidential" information. The Judge ruled in favor of Mr. Mavrick's clients. In August 2018, Mr. Mavrick obtained an excellent result for his client, a corporation operating throughout the United States, in a commercial arbitration venued in Miami, Florida. The arbitrator awarded Mr. Mavrick's client the full amount of damages it had sought at trial plus the full amount of its attorney's fees and costs. In January 2018. Mr. Mavrick successfully represented a Palm Beach corporation in a lawsuit against former employees for theft of trade secrets. The lawsuit was in Federal Court. The court entered a permanent injunction against the former employees. In November 2017, Mr. Mavrick successfully defended another start-up company and its owner against a lawsuit claiming that Mr. Mavrick's client violated a non-competition covenant he had signed with his former employer. The lawsuit was venued in Miami-Dade Circuit Court. Mr. Mavrick was able to prove that there was no valid non-compete covenant and that even if the covenant were valid, Florida law would not prevent his client from conducting business with a former customer of the plaintiff when the former customer had independent and valid grounds for not wanting to conduct business with the plaintiff. In October 2017, Mr. Mavrick successfully defended two entrepreneurs and their new company who were sued in both Lee County and Broward County for breach of a non-compete agreement, tortious interference with contractual and business relationships, and theft of trade secrets and other proprietary information. Mr. Mavrick defended his clients because the agreement was unenforceable, there was no tortious interference, there were no trade secrets, and nothing confidential or otherwise was misappropriated by his clients. Mr. Mavrick also filed a counterclaim against his client's former employer. Thereafter, the former employer agreed to dismiss its lawsuit in exchange for dismissal of the counterclaims Mr. Mavrick had filed. In September 2017, Mr. Mavrick successfully defended a large Miami employer who was sued for overtime wages. Mr. Mavrick successully argued a motion for summary judgment and obtained dismissal of the case filed in Miami-Dade Circuit Court. In August 2017, in Fort Lauderdale, a Broward Circuit Court Judge awarded Mr. Mavrick's client attorney's fees and costs because Mr. Mavrick had successfully defended his client against a lawsuit claiming breach of a contractual non-disparagement clause. In June 2017, Mr. Mavrick obtained dismissal of a Miami-Dade Circuit Court claim filed by a former employee. The claim asserted retaliation and wrongful termination under the Fair Labor Standards Act. Mr. Mavrick was able to demonstrate that the claim lacked any merit. In June 2017, Mr. Mavrick had a significant victory in a Miami-Dade Circuit Court lawsuit by a group current and former employees of a national company. The plaintiffs' counsel sought certification of a very large class of employees seeking overtime wage compensation going back as many as seven years under a theory of "equitable tolling." The plaintiffs' claim, if successful, would have circumvented the applicable statute of limitations. Mr. Mavrick persuaded the Miami-Dade Circuit Court Judge to deny the plaintiffs' motion with prejudice. In April 2017, Mr. Mavrick successfully defended a Florida corporation sued by a foreign corporation in federal court in Miami, Florida for misappropriation of trade secrets under the Uniform Trade Secrets Act. After extensive briefing, the federal court ruled in favor of Mr. Mavrick’s client and dismissed the plaintiff’s case with prejudice. In March 2017, Mr. Mavrick successfully defended a corporation that was sued for, among other things, breach of a non-competition covenant. After Mr. Mavrick’s client counterclaimed, the plaintiff agreed that the non-competition covenant was invalid and the case was dismissed. In September 2016, Mr. Mavrick obtained an excellent result on behalf of a large Miami, Florida company sued in federal court by a key former employee for about $500,000 based on allegedly owed overtime wages, liquidated damages, and commissions. Mr. Mavrick’s client counterclaimed based on the former employee’s fraud and disloyalty. The former employee ultimately dismissed his case, with no payment from Mr. Mavrick’s client, in exchange for dismissal of the counterclaims. In June 2016, Mr. Mavrick obtained final dismissal of a pregnancy discrimination case against a Broward County child care facility. Mr. Mavrick successfully argued that the former employee could not lawfully assert her claim against her former employer. In April 2016, Mr. Mavrick obtained final dismissal of a pregnancy discrimination case against a physician’s practice located in Broward County, Florida. Mr. Mavrick’s client had been wrongfully accused of terminating a pregnant employee. Mr. Mavrick successfully argued the employee was terminated for legitimate, non-discriminatory reasons. In January 2016, Mr. Mavrick won a jury trial in federal court in West Palm Beach. At the trial, Mr. Mavrick defended the corporation and its owner against an alleged employee’s claim he was owed overtime wages. Mr. Mavrick won a complete defense verdict. The jury deliberated less than 30 minutes before rendering their verdict in favor of Mr. Mavrick’s clients. In January 2016, Mr. Mavrick obtained dismissal of a housing discrimination claim against an owner of apartment buildings. Mr. Mavrick’s client, the residential landlord, was accused of discriminating against prospective tenants. Mr. Mavrick demonstrated to the investigating government agency that the discrimination claim lacked merit and should be dismissed. In 2015, Mr. Mavrick obtained an excellent result for a client who had sold his corporation and thereafter was sued by a commercial landlord for several hundred thousands of dollars for alleged breach of a commercial lease guaranty arising from his former corporation. After Mr. Mavrick filed his client’s motion for summary judgment, it became apparent to the commercial landlord that Mr. Mavrick’s client would prevail because of adverse legal and factual issues that emerged in the litigation. The commercial landlord agreed to dismiss its case with prejudice and recover nothing from Mr. Mavrick’s client. In 2015, Mr. Mavrick obtained a favorable court ruling dismissing a worker’s compensation retaliation lawsuit against a Florida corporation. In 2014, Mr. Mavrick obtained an excellent result for a client who was sued for breach of a non-competition covenant. The former employer paid substantial damages to Mr. Mavrick’s client. Successfully represented clients in probate and guardianship litigation and related issues in dispute over will. In 2013, Mr. Mavrick successfully defended a start-up business sued for breaching a legally invalid non-compete agreement. In August 2013, Mr. Mavrick and his associate attorney defended an employer at trial against a former employee’s claim for wages. The employer prevailed with a judgment that no wages were owed to the former employee. In April 2013, won trial on behalf of a general contractor in a construction breach of contract case brought by a subcontractor. In March 2013, won trial in worker’s compensation case on behalf of corporate employer. In February 2013, obtained dismissal of commercial landlord-tenant case on behalf of corporate tenant. In December 2012, obtained dismissal of commercial landlord-tenant case against South Florida Limited Liability Company. In November – December 2012, successfully represented management of a South Florida company being investigated by the United States Department of Labor into alleged wage-hour compliance issues, including updating the company’s record keeping practices to clarify proof of compliance with wage labor laws. In July 2012, won trial on behalf of corporate employer sued for overtime wages in federal court in Miami, Florida. After several days of trial, the federal judge ruled that Mr. Mavrick’s client, i.e., the corporate employer, prevailed and was entitled to judgment as a matter of law. In June 2012, won labor arbitration involving allegations of wrongful termination of employment. In March 2012, Mr. Mavrick obtained summary judgment on behalf of a corporate employer, who had been sued for alleged unlawful termination of employment. The employee alleged his termination violated Florida law prohibiting retaliation against an employee who filed a worker’s compensation claim. In September 2011, Mr. Mavrick successfully defended his client and won a six-day jury trial in Miami, Florida state court. The plaintiff had argued to the jury that Mr. Mavrick’s client owed over one million dollars for alleged fraud, civil theft, unjust enrichment, and other alleged grounds. The jury returned a complete defense verdict in favor of Mr. Mavrick’s client. In July 2011, Mr. Mavrick successfully obtained dismissal, on behalf of a corporate employer and its President, of a former employee’s claim for wages in federal court in Miami, Florida. In April 2011, Mr. Mavrick won a one day trial on behalf of a corporate employer against an employee who claimed she was owed compensation based on the grounds for her termination. Mr. Mavrick proved to the court that the former employee had stolen from and had been disloyal to the employer, and that the employment termination was therefore justified and lawful under Florida law. In February 2011, Mr. Mavrick won an appeal on behalf of a corporate employer in an employment termination claim. Won 2005 trial on behalf of employer for wages owed. Won 2005 trial on behalf of employer for employer’s taxes allegedly owed. Represented corporation and its officers in defense of case seeking overtime wages, back wages, sales commissions, and damages for allegedly wrongful termination under the federal employee polygraph protection act. Won summary judgment as to the overtime wage claim. Plaintiff/alleged employee dismissed his unlawful termination claim on the eve of trial. Speaker in November 2018 to attorneys and human resource professionals on the topic "FLSA Essentials: Practically Applying The Most Recent Legal Perspectives" at the National Business Institute. Speaker in May 2018 to Human Resources Professionals of Broward County regarding "Proactive Steps Employers Can Take To Deter Future Claims." Speaker on February 13, 2017 in West Palm Beach, Florida regarding “Responding to EEOC and State Agency Charges” to Human Resources professionals and attorneys at the National Business Institute. Speaker on March 3, 2016 regarding “Retaliation and Discrimination Claims Under Worker’s Compensation Law, Family Medical Leave Act, Americans With Disabilities Act, and Whistleblower’s Laws” to Human Resources professionals and attorneys at Sterling Education. Speaker on March 2, 2016 regarding “The National Labor Relations Act: Obligations and Compliance” to Human Resources professionals and attorneys at the National Business Institute. Selected as October 2014 speaker for continuing legal education on topics of non-competition covenants and wage/hour practices under the Fair Labor Standards Act. Selected as April 2014 speaker for continuing legal education on topic that included defending against discrimination claims under Title VII, the Florida Civil Rights Act, and other laws. President, North Section of Broward County Bar Association, 2014- 2015 Term. Vice-President, North Broward Bar Association, 2013 – 2014 Term. 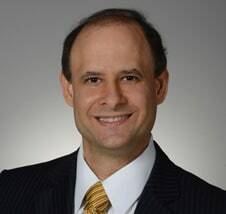 Treasurer, North Broward Bar Association, 2012 – 2013 Term. Mr. Mavrick speaks at seminars and conferences on employment law issues, and has held several leadership positions in the Broward County Bar Association and The Florida Bar. These have included Florida Bar Grievance Committee Chair (2005 – 2006) and member (2003 – 2005) and Broward County Bar Association Chairman (2001 – 2002) and Co-Chairman (2000 – 2001) of the Employment Law Section and Chairman (1999 – 2000) and Vice-Chairman (1997 – 1999) of the Intellectual Property Law Section. Member of the Board of Directors (2003 – 2007) of the Federal Bar Association Broward County Chapter and the Board of Directors (2003 – 2007) of the North Coral Ridge Homeowners Association. Speaker (September 2000) “Negotiating Employment Severance and Settlement Agreements and Ethical Considerations,” to the National Employment Lawyers Association, State of Florida Chapter. Speaker (March 2000) “Florida Employment Law Causes of Action Under Statutory and Common Law,” American Bar Association Basic Employment Law Seminar, Nova Southeastern University, Fort Lauderdale, Florida. Speaker (December 1997 and March 1998) “The Crime-Fraud Exception to the Attorney-Client Privilege,” presented to the Broward County Bar Association, Employment Law Section and to labor/employment attorneys.